Join thousands of engaged couples. Ready to SIMPLIFY your wedding plans? Streamline the first steps with our totally FREE Engagement Starter Kit. What is the Wedding Planning Podcast? 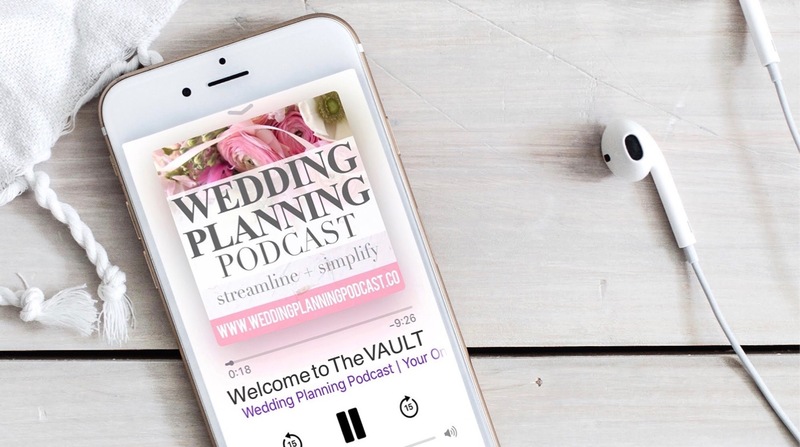 The Wedding Planning Podcast is a FREE weekly audio show for engaged couples who are looking to simplify their wedding plans with down-to-earth guidance from a wedding industry professional. "I believe that every engaged couple deserves the expertise of a down-to-earth, honest, & professional wedding planner ." 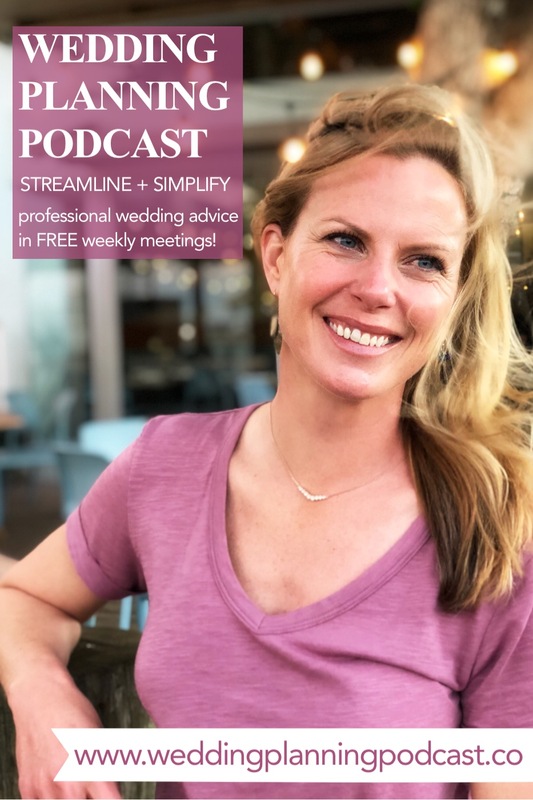 Join me on the Wedding Planning Podcast each week for fun & easy ways to STREAMLINE your wedding plans. With our straightforward, 10-15 minute audio meetings, you'll see in no time that beautiful wedding doesn't need to cost a ton of money, time or stress. As featured on Brides, VOWS Magazine, Etsy Weddings, Podcast Movement, Merriweather Council & more! Get more inside The VAULT. Easily create a detailed outline of your wedding plans, from start to finish. Hold the keys to making informed wedding decisions with confidence. Know the exact questions to ask your vendors. When to push back in negotiations. Even if you have an experienced posse of friends & family helping you with the wedding, don't miss this opportunity to walk through a complete wedding roadmap - from start to finish - with a wedding industry professional who wants nothing more than for YOU TO WIN the #perfectwedding game. Tune in each Wednesday for a totally FREE pre-recorded meeting on a brand new wedding planning topic. GOODBYE, wedding overwhelm! Come with me on a detailed audio journey through your entire wedding blueprint, start to finish. You + me. Focused, personalized wedding strategy sessions.